You have read the tropes many times before: a writer/director/producer toiled for days, months, years, to get a film off the ground. It was on The Black List and eventually broke through to capture the attention of a Brad Pitt-esque savior who brought that little-movie-that-could slowly, carefully, eventually, to a screen near you. What a triumph. There are several movies this awards season with such a story, some of which are getting a lot of attention and others which will fall by the wayside. They are hardly the first, and they will not be the last. But the one thing they all have in common is the shared struggle of getting made in the first place. How unique—if only it were so. 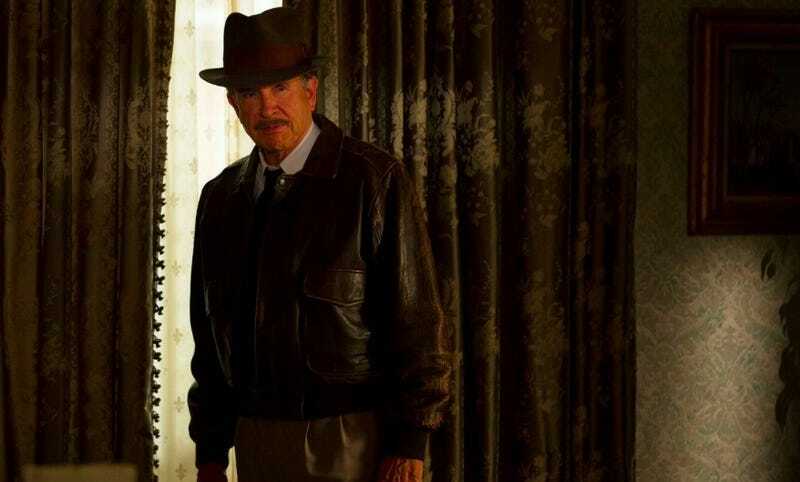 Two examples at relatively opposite ends of the spectrum come to mind: first, Warren Beatty’s Rules Don’t Apply. Despite middling reviews, profilers of Beatty were initially excited by the promise of the film, mostly because he never does press. They all specifically focused on how damn long it took Beatty to make the movie. He’s been working on it for 40 years!, the newspapermen cried. Would You Have Spent 40 Years Trying to Get This Movie Made? One might be tempted to be a little sympathetic to the writers of these pieces, and the PR people pitching this angle: after all, if Beatty is so notoriously unwilling to discuss anything about himself, we must find something to talk about. Plus, 40 years is (again!) a long time. But this angle is not isolated to Beatty’s many years toiling to get a non-classic on the screen; we saw it in many stories about this year’s frontrunner for Best Everything, La La Land. As you have likely heard, director Damien Chazelle wrote the script in 2010 and the movie didn’t get released until 2016. No one wanted to finance an original musical from basic unknowns (boy, were they dumb). Once it was finally picked up, they couldn’t find the right cast. It took a year to be edited. The test screenings went badly. It’s a classic tale of overcoming adversity, the kind Hollywood loves in both its pictures and its people. Classic, but in the worst sense: the narrative is not original, rare or interesting. Hollywood moves slow. Things take forever to get attention, to receive financing, to get a budget, to be scheduled by the studio, to be cast, to be shot, to be screen tested, etc. etc. (Usually even longer for people who are not white men, funnily enough.) Could they take far less time if people weren’t generally inadequate? Yes, but the inadequacy of other people is truly the definition of life, at least mine! It is the norm that things take a long time, and the exception that they don’t. It doesn’t indicate that something is better or worse, only that you spent more of our most precious commodity—time—on it, and you would like to hope that it was worth it. That there is a repeated fixation on the overcoming adversity story is no surprise; it is a tale to run with, how a story becomes a story. All I really wish to say is: hope it was worth your time, hope you win awards, hope it all goes well for you. I, however, am mostly bored of hearing about it.